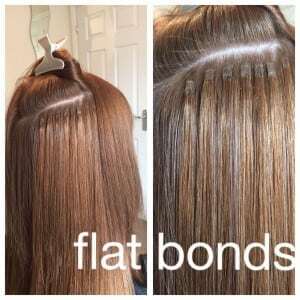 At Bond Hair we use the flat bond method which we believe to be the best. This method means flat, small, comfortable and discreet bonds which don’t damage your natural hair. Our bonds are small and transparent. If you’d like to try our bonds before you book please contact us and arrange a ‘test row’ free of charge! Extensions are a big commitment, therefore you need to be confident and happy with the service you’re getting. TOP TIP! Many ‘after photos’ look great on websites, why not ask to see the technicians bonds – as this is where the talent is. Hair should be neatly sectioned and bonds in uniform rows. 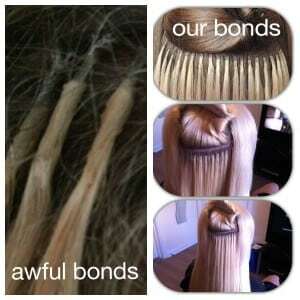 If bonds look messy and sectioning is poor then beware. 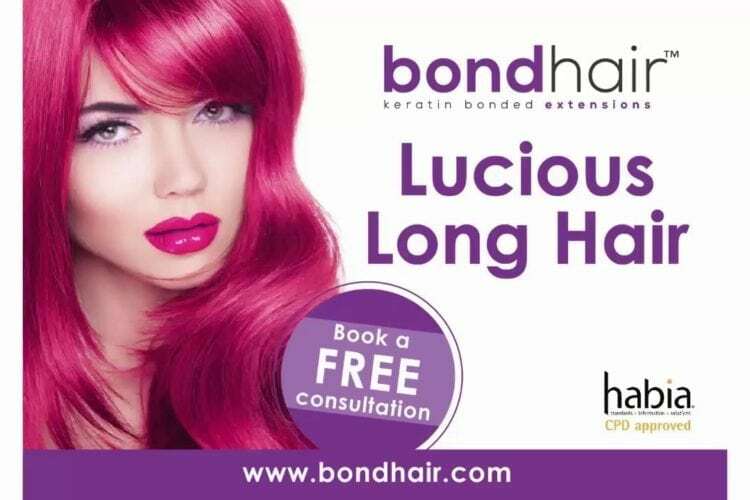 We would love to see you for a FREE consultation, here we can explain the process, show you the bonds and the hair quality and even offer to pop a couple of bonds in for you to try with our compliments. At Bond we’ve had to fix some ‘cowboy’ extensions work. 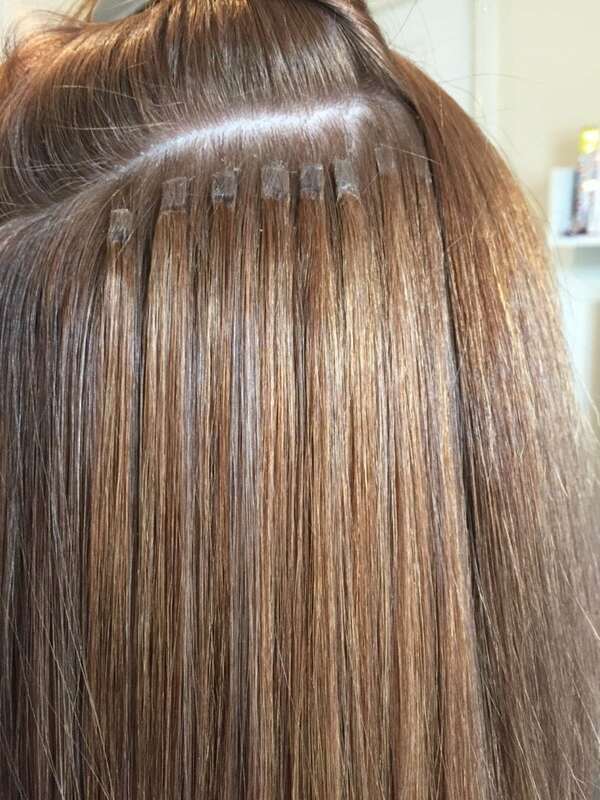 See the ‘cylinder’ long bonds below to the far left and far right, both have not carried out the correct sectioning on the natural hair and this results in untidy work and most importantly potential damage to your own hair. If you’d like any advise on bonds please get in touch here.